If you are thinking of getting a German Shepherd Puppy or own a German Shepherd, you have unknowingly made the best choice. GSD is an abbreviation for the beautiful German Shepherd Dogs. It is the second most registered dog in the US. To be exact, the head count is approximately 3.5 million. 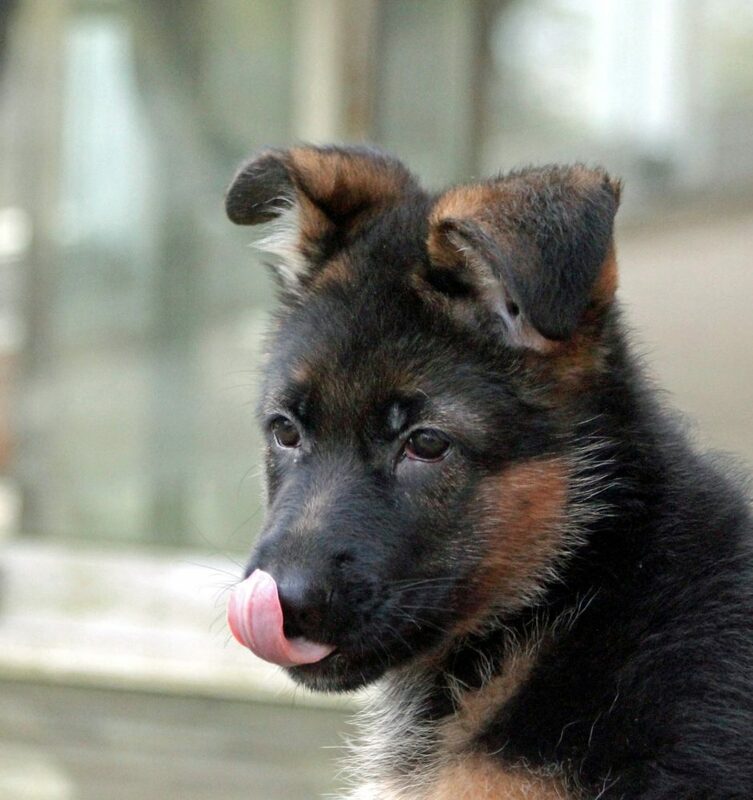 Read on to learn 12 fun facts you probably do not know about German Shepherd Puppies. The first time German Shepherds came into being was in the year 1899. All thanks to Max von Stephantiz, a breeder, who bred old German farm and herd dogs. He named the first German Shepherd Puppy “Horand con Grafath”. The term “shepherd” has been associated with the name because the dog was initially known for sheep herding abilities. It was with GSD that the concept of service dogs was introduced. Today a majority of the service dogs are the German Shepherds, making the lives of terminally ill, special, or elderly people easier. An adult male GSD stands at 24 to 26 inches tall, while females at 22 to 24 inches. The ideal weight of an adult dog of the breed is around 75 lbs. A German Shepherd’s nose has receptors for 225 million scents, which makes it eligible to be of service in military, army, and other crime control units. German Shepherd puppies and dogs learn simple tasks after only 5 re-occurrences of an action. This is the only breed with 95% ability to accept orders when they are given them the very first time. At the time of 9/11 incident, rescue shepherds were one of the first few respondents. They not only looked out for survivors, but calmed those who were suffering. The perfect diet for a GSD is the one that is high on quality, but low on calories. Daily diet should include 12-15% fat and 22-24% calories. A healthy German Shepherd puppy has a lifespan of 10-14 years. They are the 3rd smartest dog breed in the world. If reading these awesome GSD facts makes you feel like getting one, Roche German Shepherd is the place for you.